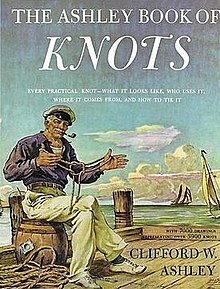 Knots are used extensively in Search and Rescue. This page documents the basic rope and knot skills you should have as a member of Cal-ESAR. Please review this material since it will be on the final test. Note: The abbreviation ABOK, followed by a number, is a common way to refer a knot back to location in Ashley's book. Hojo Coil (deploy-able coil) This YouTube is not quite the method we teach, instead of the demonstrated Figure 8 wrap, we teach a wrap around the hand that consistently goes from thumb to the wrist, as shown in the link, but the video links there are bad. As you'd expect, there are now interactive knot tying apps that run on mobile devices. Some examples are below.